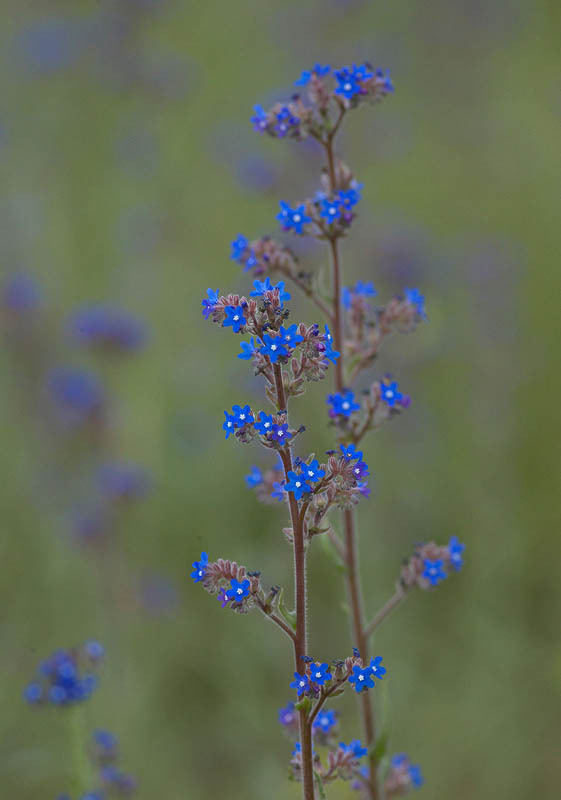 Close-up of stalk of field herb with blue coloured blooms. Sprig of blossomed summer plant. Botany, flora.